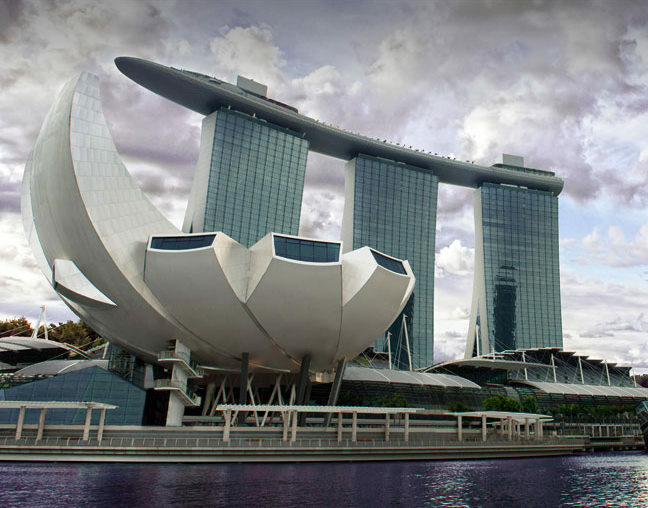 Marina Bay Sands is a massive integrated resort fronting Singapore’s Marina Bay. Developed by Las Vegas Sands, the spectacular complex is the world’s most expensive standalone casino property. Their grand opening was held in February 2011 (just a couple weeks after we were there) and showcased the beautiful resort’s main features: 2,561-room hotel, convention-exhibition centre, The Shoppes mall, Art & Science museum, two Sands theatres, seven celebrity chef restaurants, two floating pavilions, and a casino with 500 tables and 1,600 slot machines. The impressive complex is topped by a SkyPark and a 150m infinity swimming pool, set on top of the world’s largest public cantilevered platform. The resort’s sheer magnitude is even more impressive in-person. 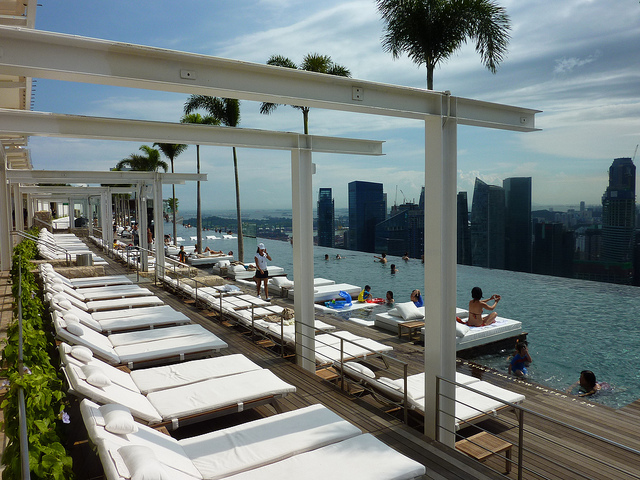 The Marina Bay Sands is a must see destination during your trip to Singapore!